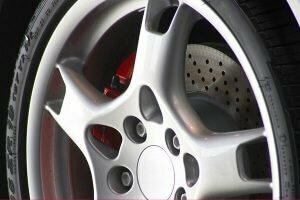 With many years of experience, our team are experts in the repair of scraped, gouged and curbed alloy wheels. With our onsite services, we are able to provide a convenient, cost-effective solution that will see you maintain the look of your investment. Though it’s easy to cause damage to your alloy wheels through daily use, the right professionals can make sure they stay in top condition. Whether you need wheel scratch repair, vehicle rim repair or alloy wheel refurbishment and restoration, our Brisbane team can provide you with the perfect solution. We have the technical tools and knowledge to perform all types of alloy wheel repair and reconditioning. 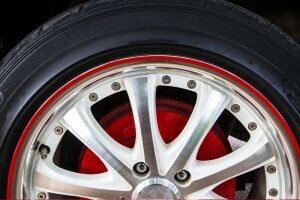 Sometimes, what appears as minor damage to an alloy wheel or rim will require an in-depth repair process. 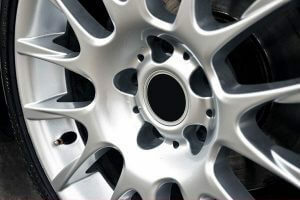 With manufacturers now providing a large array of designs and styles of alloy wheel rims in a multitude of colours, effects, coatings, and profiles (as well as a multitude of after-market options), you’ll require a specialist repairer with specific skills and knowledge to provide a factory repair finish on your damaged alloy wheels. If you’d like to see your alloy wheels in pristine condition, Advantage Alloy Repairs are the technicians to see. We provide our cost- and time-effective mobile service at your home for a fraction of what it would cost to replace it. To receive a free quote on any of our alloy wheel repairs services in Brisbane, get in touch today! Revive and restore your damaged alloy wheels using our standout onsite techniques. Enjoy the quality workmanship as well as a nice saving to your bank account. Our process will provide your wheels with the best care from start to finish. We’ll skilfully fix the damaged areas and perfectly match the colour of your wheels for a flawless finish. We are the experts in colour-matching shadow chrome alloy wheels. We guarantee a spot-on colour match with every repair. Our specialists are able to achieve the best results across all the different makes and models of car manufacturers. Maintain the luxe look of your vehicle with shadow chrome alloy wheel repair in Brisbane. Our convenient mobile repair service can have your machine-faced wheels repaired within 40 minutes per wheel. There’s no need for a workshop with our tried and tested repair process. For what is normally an expensive and time-consuming process, we’ll complete in efficient timing and at a reasonable price. And with the dedicated effort our team puts into each piece of work, you can rest assured the finished product will look simply sublime.